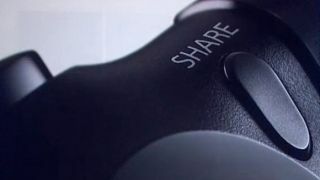 How far can PS4 sharing really go? When Microsoft revealed at E3 2013 that the ridiculously popular game broadcasting service Twitch will be integrated directly into the Xbox One, our first question was whether the PS4 might host the service as well at some point. But when TechRadar brought the issue up with Twitch Vice President of Marketing Matthew Dipietro, he - predictably - had little to say beyond vague teases. He didn't rule Twitch on PS4 out as a possibility, though. "We are talking to a very wide swathe of the industry," Dipietro said. "My best way to say 'no comment.' That would be a great question to ask [Sony]. I can say this: we want to be everywhere…our strategy right now is we want to make broadcasting ubiquitous everywhere. And we want viewing on Twitch ubiquitous. Everywhere." We took his suggestion and asked Sony, but they just as predictably had little to add. "Per your question, streaming services such as Ustream will be available for PS4," Sony Senior PR Specialist Mary Taing reiterated. "By using the 'Share' button on the DualShock 4, you can easily broadcast your gameplay in real-time through Ustream, where fellow gamers can comment or jump into your game in new ways. In addition, you can also instantly upload images or video to Facebook by pressing the 'Share' button. We don't have additional details to share at this time." Twitch launched in June 2011 when founder and CEO Emmett Shear spun it off from Justin.tv after noticing how many gamers were using the service to stream gameplay footage. As of June 2013, the service attracted more than 38 million unique viewers (up from 3.2 million its first month). Those viewers watch an average of 1.5 hours of Twitch content per day. Those June 2013 numbers also include 600,000 unique broadcasters who stream everything from professional eSports matches to speed runs in classic games, and even less competitive programming like simple "Let's Play" videos. The Twitch Partner Program has more than 4,500 members, and over the past two years Twitch has partnered with eSports leagues, conventions, publishers and developers, media outlets, and pro gamers, in addition to the hundreds of thousands of normal gamers who use it every month. It's certainly a boon for the service to be integrated on Xbox One, though it's by no means the only thing Twitch has got going on. Dipietro also brought up the software development kit that Twitch launched this year. It provides developers with the tools to easily integrate Twitch features like metadata tracking and streaming within their games. Call of Duty: Black Ops 2 is a good example of this, and indie PC game Guncraft also recently announced Twitch integration as well. Most importantly, the SDK is platform-agnostic, so devs can utilize those features on any platform - including PS4. But the software-level integration that the Twitch SDK allows will no doubt look different from the Xbox One's hardware-level Twitch features. Speaking of which, we at TechRadar wanted to find out how exactly Twitch will work on Xbox One, bit unfortunately Dipietro had few specifics to share. Yes, the Xbox One will be able to broadcast gameplay and voiceover through Twitch, and yes, players will stream from their Twitch accounts and be able to watch their favorite channels right on the console. Kinect and a headset work for video and audio commentary. But beyond that, Dipietro (pictured left) had nothing else to reveal - mainly because the specifics aren't there yet. "The actual UI on the Xbox One is very up in the air," he said, adding that there's still time for Microsoft to figure it out. "So we'll see what it shapes up to be."